UKIP has no future and should fold if the right Brexit deal is done, the party’s former leader in Wales has said. MEP Nathan Gill said the party “could have been amazing” in Wales but had achieved nothing – due to internal rows. Mr Gill, who quit the assembly after infighting, said if Brexit was done properly UKIP would be “dead”. UKIP said Mr Gill did not speak for the party which would continue post Brexit. 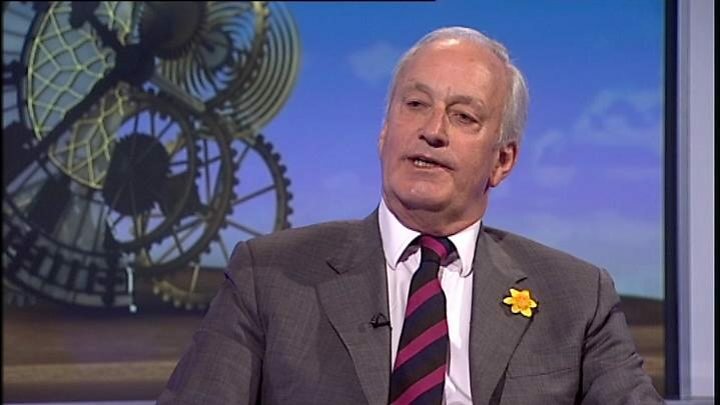 Mr Gill’s comments come after former Tory MP Neil Hamilton was ousted as leader of UKIP’s assembly group on Thursday, and replaced by AM Caroline Jones. Mr Gill, who quit his assembly job in January amid pressure about “double-jobbing” as an AM and MEP, said there was no future for UKIP if the UK Conservative government delivered the right Brexit deal. He told BBC Radio Wales’ Sunday Supplement: “It is all up to the Tories…if they fail to deliver that, UKIP can revive from the ashes, but they can kill us dead by delivering a good, solid, decent Brexit. “I would very much prefer that we did what we said we were always going to do, get us a Brexit and then walk off stage. Mr Gill was himself ousted by Mr Hamilton from his role as UKIP Wales leader shortly after the party won its first seats in the assembly in 2016. The party initially had seven AMs, but it now has five after a series of rows – with Tory Mark Reckless leaving the UKIP group to sit with the Conservatives in Cardiff Bay. On Thursday, Mr Hamilton was dramatically replaced as the group’s leader in the assembly by Ms Jones. Mr Hamilton said it was an “ambush” and he was told of his sacking by text but Ms Jones had said the decision was “amicable”. But Mr Gill said the party had wasted opportunities to engage with the electorate and criticised Mr Hamilton’s leadership style. “We could have built a very strong party here in Wales, but it was a missed opportunity for very selfish reasons,” he said. Mr Hamilton, who remains UKIP’s leader in Wales, denied the assembly group had squabbled non-stop since the election and said UKIP had made a “big impact” on the way the assembly works. He added: “Of course there is a point to UKIP, what does [Mr Gill] think we have been doing in the assembly for the last two years? A UKIP spokesman said: “In making these comments, Nathan Gill does not speak for the party. “There was never going to be a deal. UKIP is and will be needed to fight for a complete withdrawal from the EU, whatever kind of Brexit in name only deal Theresa May negotiates. “I am surprised that Nathan doesn’t seem to understand that we need a party in the UK that is a genuine opposition to the political establishment and which represents the interests of ordinary patriotic British people.